Is there any other way to eat a potato other than with crispy bacon and cheese on it? A lot of you are out and about galavanting the warm southern weather. 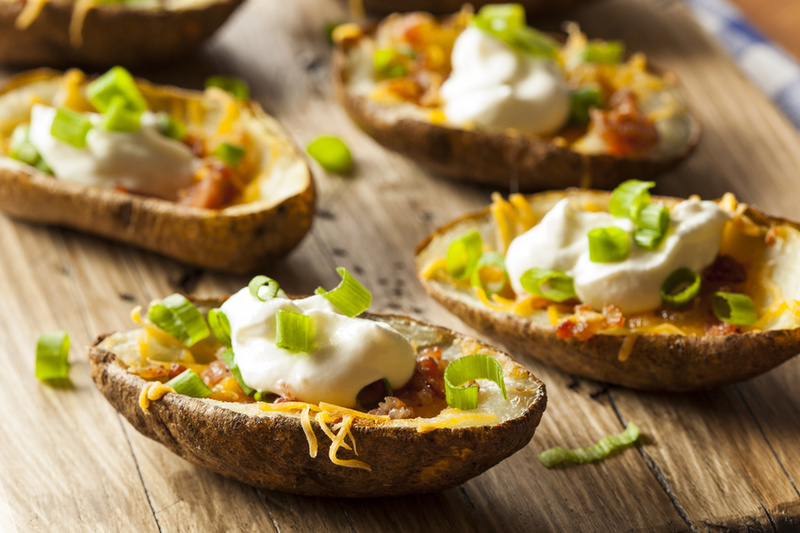 So while I sit back and flip through social media ocean and palm tree pictures, I am enjoying a warm, crispy potato skin…wishing I were there. Preheat oven to 425°F. Scrub potatoes; pat dry. Rub skins with oil. Place potatoes on baking sheet. Bake until potatoes are tender, about 1 hour. Cool. Keep oven temperature. Cut each potato lengthwise into quarters. 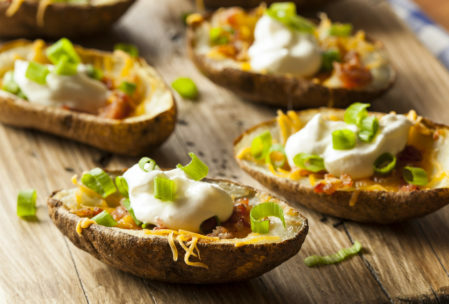 Scoop out centers, leaving 1/2-inch-thick layer of cooked potato on skins. Oil baking sheet. Place skins, skin side down, on sheet, spacing 1 inch apart. Sprinkle with salt and pepper. Cook bacon in heavy large skillet over medium heat until brown and crisp. Drain. Chop bacon. Transfer to medium bowl. Sprinkle cheese mixture and bacon on top of skins. Bake until skins are crisp and cheese melts, about 20 minutes. Transfer skins to platter. 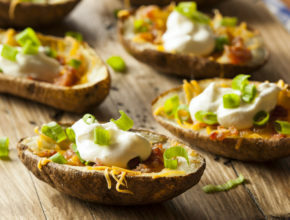 Sprinkle with green onions; top with dollops of sour cream and serve.